Back in 2003, Santa Claus got really into Atkins. Before you knew it, he was dropping waist sizes faster than he used to drop a plate of cookies into his gullet. By the middle of September, the elves were starting to worry. 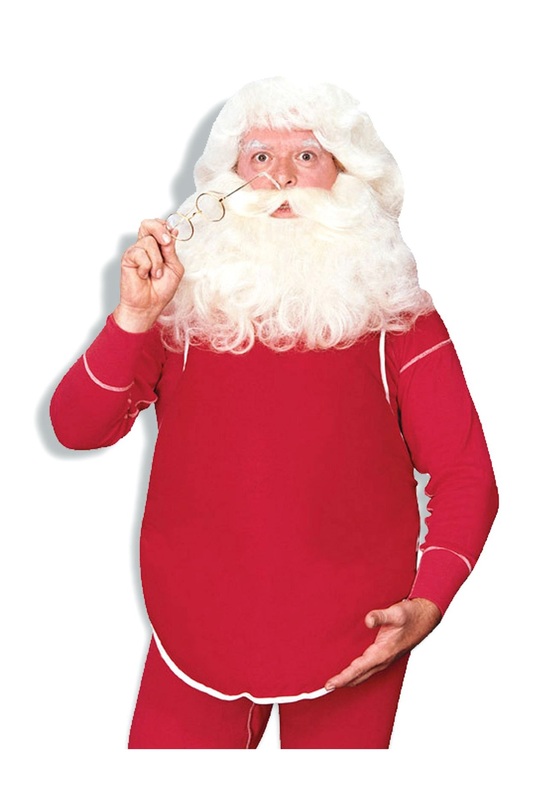 Svelte Santa wasn't breathing as hard, and didn't get those random pains in his legs and chest all the time, but he also wasn't as jolly, and definitely not the Santa that all the kids knew about from the songs and TV shows. An emergency meeting was called. Santa was ordered to undergo immediate physical therapy involving daily sugar cookie dosings and an eggnog IV drip. It was a close call that Christmas, but bowlful-of-jelly Santa was back. Because, what's a Christmas without jocularity and obesity? No Christmas I want any part of, that's for sure.